One of our specialties is WEDDING RECEPTIONS. 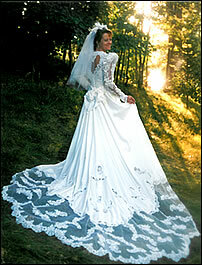 We are a "One Stop" catering service for all your wedding needs. We provide our customers with Buffet (All You Can Eat), Pampered Sit Down dinners or just Delivery Service. 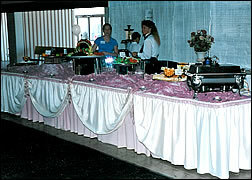 We are Full Service Caterers and can cater on site or in your own backyard. We are self-contained and can cater your wedding reception in the middle of the desert or under 100 feet of water. It's your call! For Under Water, Hot Air Balloon or Sky Diving Weddings, you must be certified or crazy! Call for a quick quote over the phone! Special promotion prices available NOW! "Save 50% on your next catered event"